As part of our November-into-December theme ‘Architecture in the City’ and coinciding with Dale Campisi’s triple MPavilion walking tour, and a soon to be released self-guided tour project designed by Open House Melbourne, the Melbourne Symphony Orchestra will perform a series of free concerts at each site of the three MPavilions on Sunday 11 December. Presented by ANZ, musicians from the MSO will perform three stirring performances, this the third concert is something of a finale! Join us at MPavilion 2016 with members of the Melbourne Symphony Orchestra performing chamber music for string quartet including music for dancing by Johann Strauss and Astor Piazolla and Iain Grandage’s After Silence, an Australian work featuring birdsong, suitably surrounded by the Queen Victoria Gardens. Bring yourself or the whole family to MPavilion 2016! 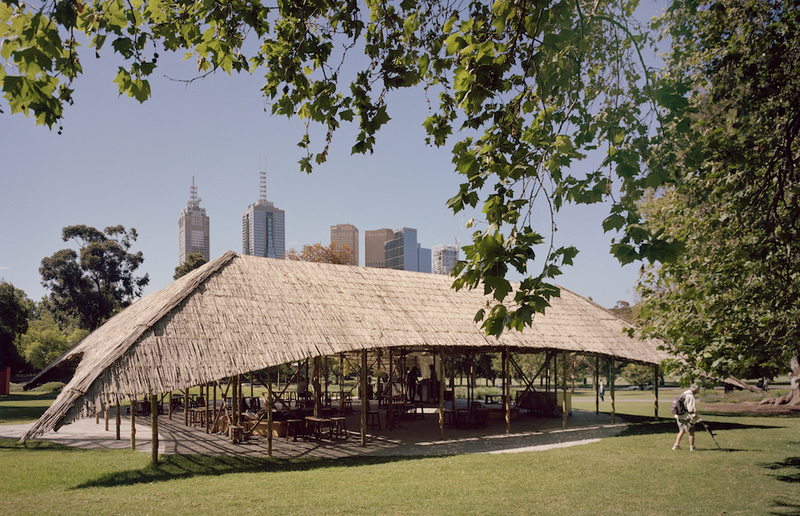 This day of performances preceding this finale concert will begin at MPavilion 2015 designed by Amanda Levete of AL_A in Docklands Park before moving to MPavilion 2014 designed by Sean Godsell Architects at the Hellenic Museum. This event is presented by ANZ in partnership with Places Victoria and Hellenic Museum. Main image by Rory Gardiner.